The docket engine is currently configured to trigger exhaustively all potential deadlines. Some triggers might sometimes be too specific and generate deadlines that you would not like to appear. 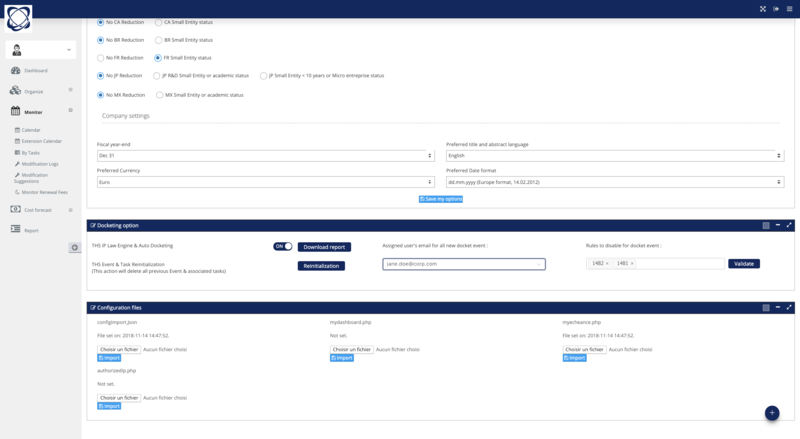 It is now possible to unplug specific triggers in order to adapt the docket engine to your activity and keep focus only on your deadlines. 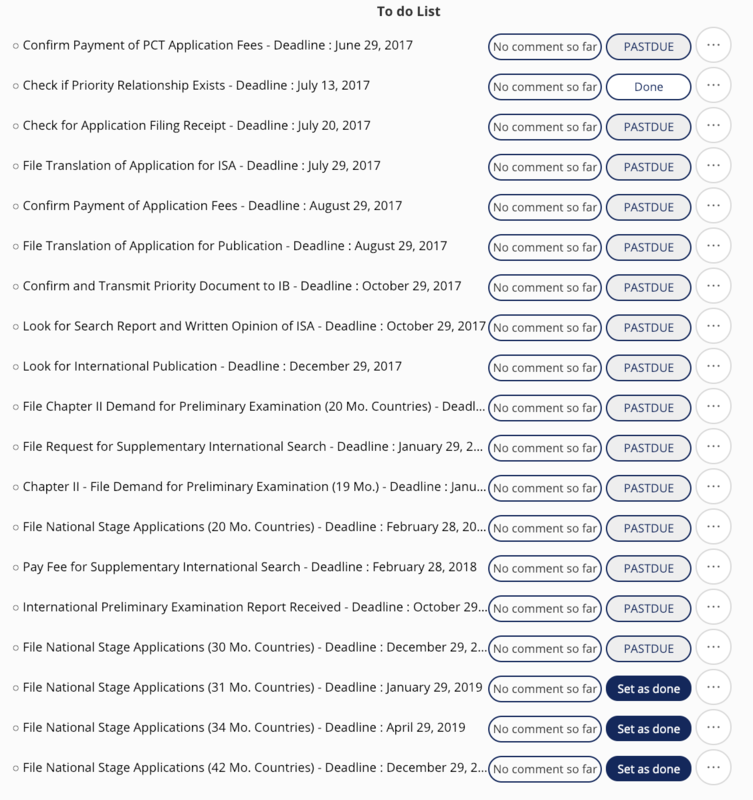 For example, a PCT currently generates 5 deadlines for countries with 20, 30, 31, 34 and 42 months delay to File National Stage Applications. In order to keep focus only on main countries, you can decide not to trigger the 20, 34 and 42 months deadlines and keep only the 30 and 31 months delay. This will result in increased efficiency and more control on your docket engine.